The Lethbridge College Golf Tournament is the longest-running charity golf tournament in southern Alberta. Join us for the 2019 tournament on Aug. 27, 2019. Our golf tournament is a great opportunity to network with other business, industry and community leaders. It’s also a great way to connect with Kodiaks student athletes and coaches, as well as other Lethbridge College staff volunteers, to learn more about how the college supports the community by providing a relevant, high-quality education in a changing world. 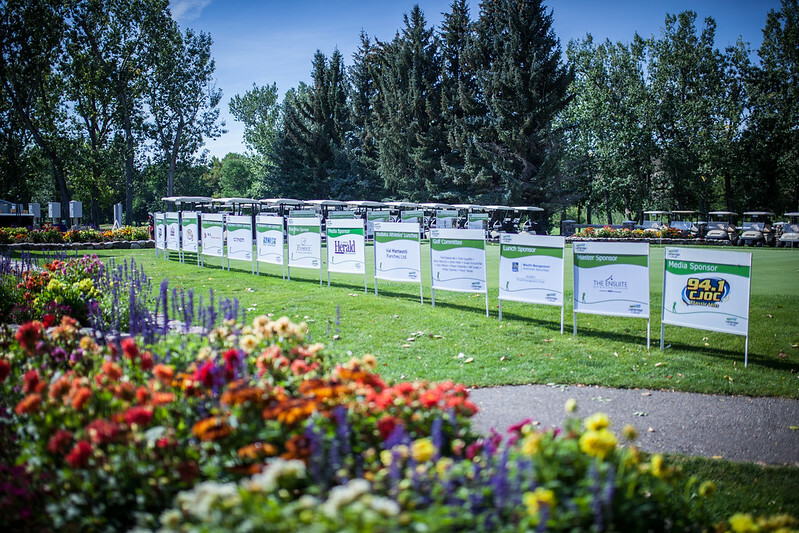 We invite you to support the longest-running charity golf tournament in southern Alberta. Our 2019 sposorship guide will be available soon. To enquire about sponsorship opportunities, please contact the Development Office: visit CE 2322 on campus, call 403-320-3457 or email development.office@lethbridgecollege.ca. Thank you for your support. We couldn’t be successful for so many years without the support of our great sponsors! So thank you. Thank you for supporting the golf tournament, Lethbridge College, and most importantly, our students. All the proceeds from this event are directed to athletic and student awards.